On September 3, 4, 5 and 6, 2018, Globalization Services together with SAP Colombia held a workshop about ACR (Advanced Compliance Reporting) in Colombia. This initiative had consulting partners as main target audience with the objective of enabling consultants to successfully implement, create and run ACR reports on customers’site. The focus was on Magnetic Media compliance reports solution in SAP S/4HANA. 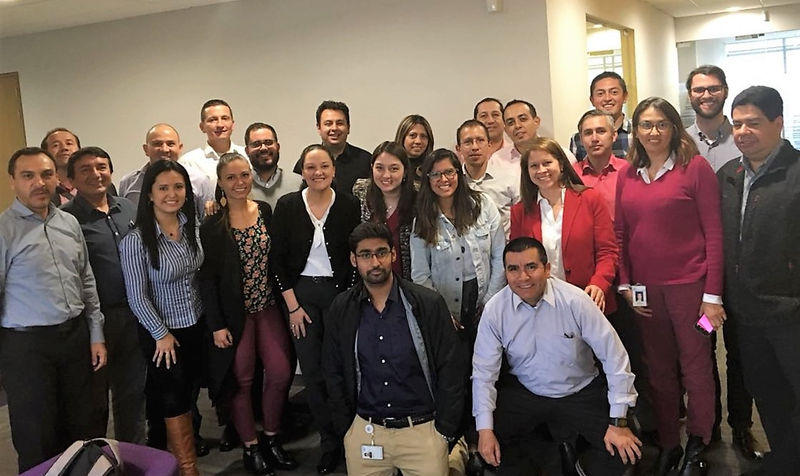 In total, 25 consultants attended the workshop, representing 12 partners around Colombia – among them Seidor Colombia, MQA, Price Waterhouse, Softtek, CompuNet, Ernst & Young, Neoris, Everis, On Business Consulting, Accenture, Ayesa, and Consultoria Organizacional. Showcase of how ACR framework can help partners to reduce development efforts by a very good margin as compared to ABAP reports. To make sure no barriers would interfere in the spread of knowledge, the workshop counted with simultaneous translation of English to Spanish, which contributed for the success of the sessions. The participants also had a chance for networking in a business lunch. During the workshop, consultants were able to implement, configure and run ACR reports, as well as to design and develop new reports using ACR framework. With the rise of new technologies as SAP S/4HANA with ACR framework at SAP, there is a need of enabling partners to support customers in the process of improving the way they run their businesses with SAP. After this workshop, SAP has now a group of consultants in Colombia that is able to help customers to run with S/4HANA in ACR framework, a tool that brings simplification to customers when it comes to reporting huge amounts of complex data. Besides, there is now more room for boosting ACR sales in Latin America.